“We were excited about the prospect of installing Musco's TLC for LED system for our athletics, but our neighbors are equally as pleased with the effects. Within one day of installation, we heard from surrounding families that they no longer experienced the glare they had grown accustomed to. That's a benefit to our entire community." St. Pius X Catholic High School, which is located near Atlanta, Georgia, is home to the Golden Lions football team as well as 23 other sports teams that compete at the state’s AAAA level. 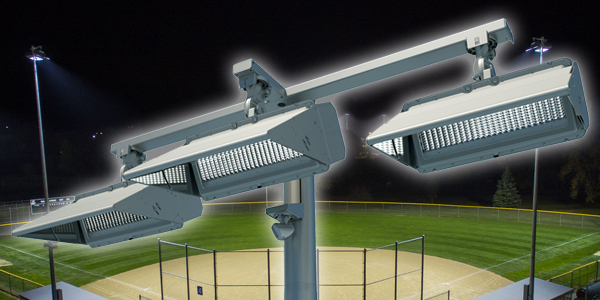 In recent years, the prior lighting equipment has been the source of frequent problems, including spill and glare impacting nearby homes, excessive maintenance costs, and less than satisfactory on-field light quality. 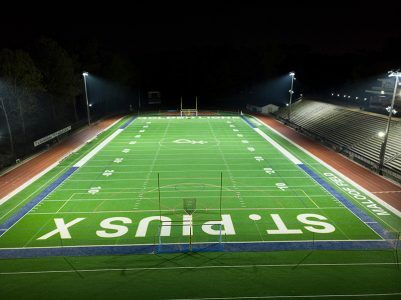 For the 2017 season, school officials decided it was time for a lighting upgrade. 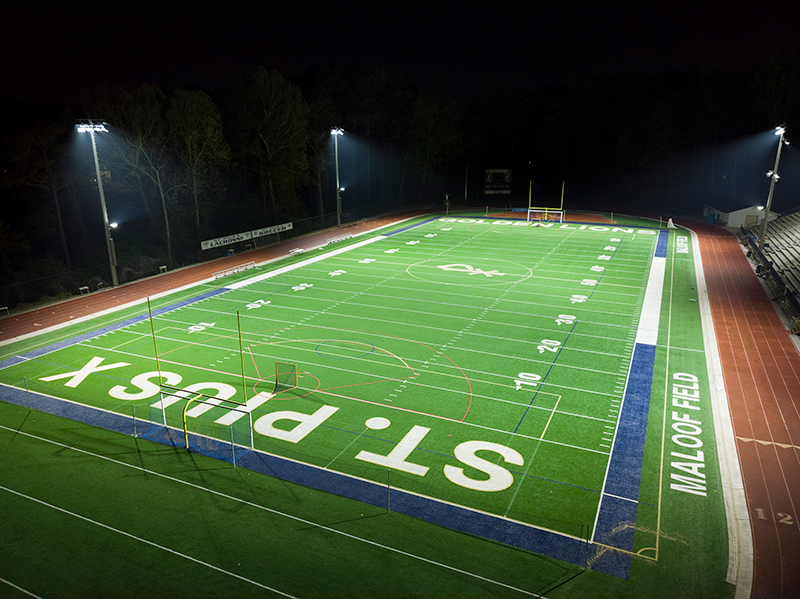 They wanted a cost-effective solution that would improve visibility for athletes on the field while eliminating complaints from nearby homeowners in the metropolitan neighborhood. 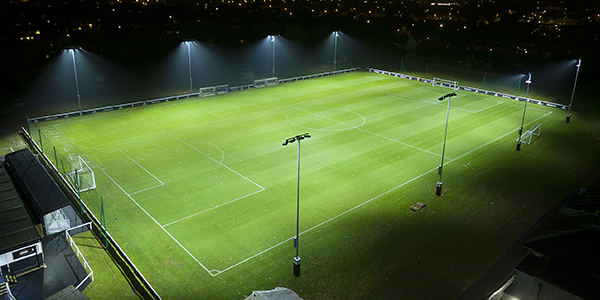 Improved Visibility – light levels and light uniformity were significantly improved which resulted in better visibility for players on the field and spectators in the stands. 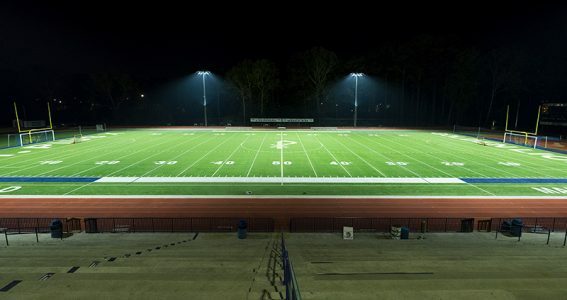 Eliminated Light Spill – TLC for LED’s patented light control technology virtually eliminated glare and light from spilling onto the neighborhood surrounding the stadium. Energy Efficiency – the system improves energy efficiency by reducing the total amount of fixtures by 18 and cutting energy consumption by 58 percent. Zero Maintenance – a comprehensive parts and labor warranty eliminates maintenance costs and concerns for St. Pius X for 10 years. 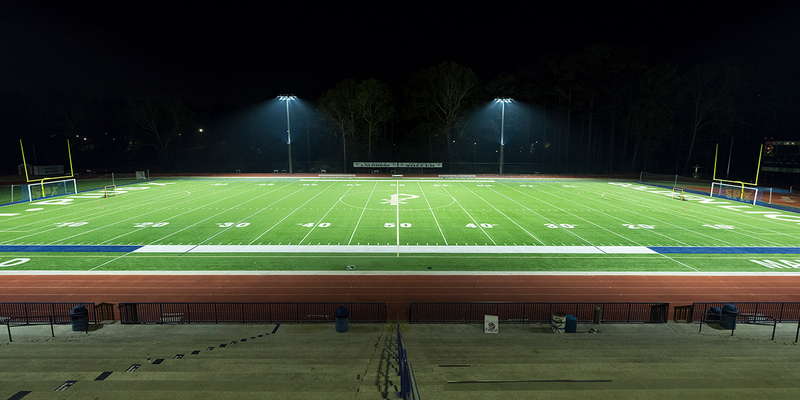 Facility managers and coaches also realized the ease and value in scheduling and managing the new lights with Musco’s Control-Link® services, which also includes 24/7 monitoring of the system’s performance.